Philip is an experienced litigator in patent and intellectual property matters in a wide variety of technologies and a registered patent attorney with a technical background in physics and computer related technologies. He has particular depth of experience managing pharmaceutical patent litigation under Abbreviated New Drug Act (ANDA), helping generic manufacturers bring their products to market at affordable, competitive prices. 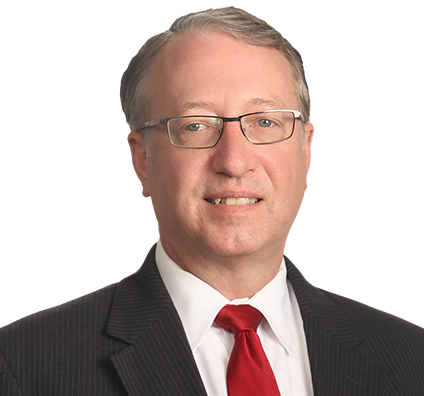 Philip also has extensive litigation and patent prosecution experience in information and computer related technologies, including data compression, e-commerce systems, business methods and other technologies in electrical, mechanical and chemical technical arts. Philip’s litigation experience also includes all phases of patent, copyright, trademark and trade secret cases. He has prepared and prosecuted patent applications in diverse technologies, including markdown optimization, data mining, call centers, voice recognition and other areas. His litigation and counseling experience also includes general commercial litigation and government contracts. A former Federal Circuit law clerk, Philip has also briefed and/or argued dozens of appeals in federal and state courts.